Birmingham (UK) Table Scraps, will be releasing their debut album ‘More Time For Strangers’ on June 5th 2015, with a new single ‘Bad Feeling’ out on May 26th 2015. 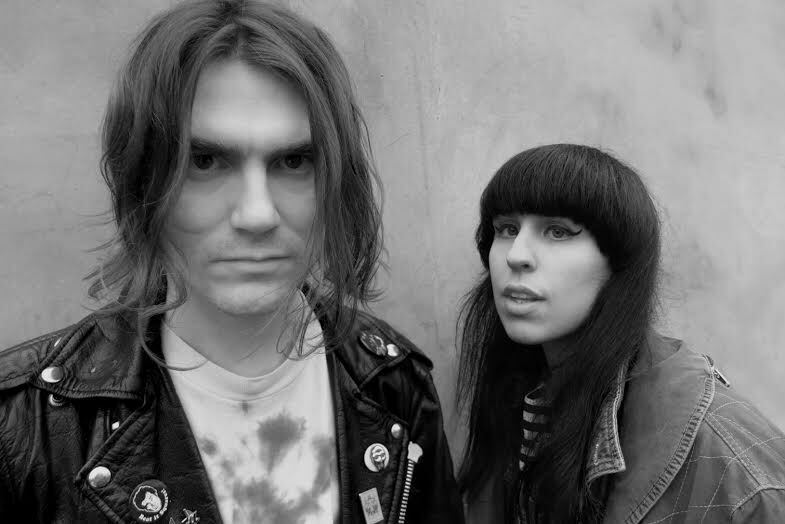 Barely a year old, the duo of Scott Vincent Abbott (formerly of The Big Bang) and Poppy Twist (formerly of Poppy & The Jezebels) have already developed a sizeable reputation for their fuzz and tape-echo drenched punk noise, built over a stand-up drum set and a single guitar fed through four amps. ‘Bad Feeling’ is out on May 26th 2015 through Hells Teeth. ‘More Time For Strangers’ is released on June 5th 2015 as a limited edition 12” vinyl and digital download through Table Scraps’ own Hells Teeth imprint in the UK, and on cassette via Burger Records subsidiary Wiener Records in the UK and US.